tldr; Check that your Windows Firewall is turned off. My OpenVPN has been working for at least 4 months without problem. First thing to remind yourself is: When you get the VPN working – copy the OpenVPN log of a successful connection and the ipconfig /all to file so that you know what to compare when it breaks next time. Unable to resolve target system name google.com. 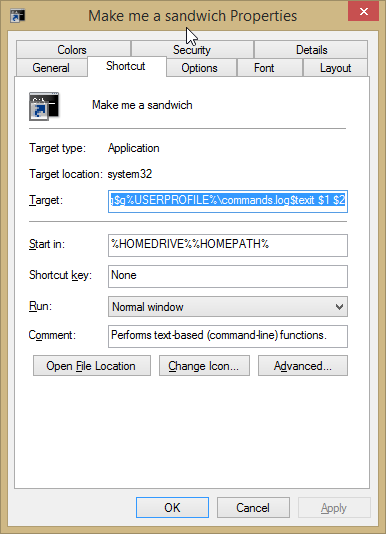 Eventually found a solution that was to turn off the windows firewall, which came from this unbuntu forums post which eventually spotted that it was an iptables firewall issue. I’ve started a fairly standard process of writing a Google Doc when I’m trying to learn something technical that I don’t understand and then if its half useful posting it to WordPress. I know I could then copy paste the code from there to WordPress – but I’m a fan of writing WordPress posts in Markdown. For one reason, I need to switch all the titles to be one level lower in WordPress than Google Docs and its simpler to do that in Markdown. Also and code I put into Courier font in Google docs gets converted to code in Markdown, but gets lost when copying and pasting. So I’ve found that there’s a script to export Google Docs. 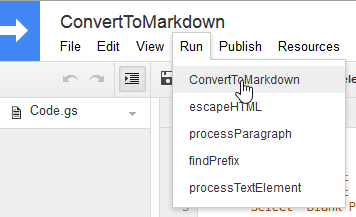 There is an annoying issue in that you have to re-do the steps everytime you want to export a document to Markdown. To get around this, I suggest that you just have one document that you use for converting to Markdown and copy/paste each Google Doc into that. Upon running the script from the Script Editor you get emailed a markdown version of your document. Then copy & paste the markdown syntax into WordPress. Then put C:\Users\[username]\AppData\Roaming\Composer\vendor\bin\phpunit.bat into Netbeans Tools > Options > PHP (tab) > Frameworks & Tools (tab) > PHPUnit section. Then put C:\Users\[username]\AppData\Roaming\Composer\vendor\bin\phpunit-skelgen.bat into Netbeans Tools > Options > PHP (tab) > Frameworks & Tools (tab) > PHPUnit section. Then put C:\Users\[username]\AppData\Roaming\Composer\vendor\bin\phpcs.bat into Netbeans Tools > Options > PHP (tab) > Code Analysis (tab) > Code Sniffer section. Then put C:\Users\[username]\AppData\Roaming\Composer\vendor\bin\phpmd.bat into Netbeans Tools > Options > PHP (tab) > Code Analysis (tab) > Mess Detector section. Then put C:\Users\[username]\AppData\Roaming\Composer\vendor\bin\apigen.bat into Netbeans Tools > Options > PHP (tab) > Code Analysis (tab) > ApiGen section. If you didn’t write the plugin – how do you translate it? I found lots of information for plugin developers to make their plugins translatable but not for people that just want to translate it. Edit: The Codestyling Localization plugin I suggested previously isn’t available from WordPress directly any more. Instead there seems to be an equally good plugin Loco Translate that is complemented by the developers own site for translating any application. Failing that try the ‘Blank WordPress POT’ with POEdit and put that in the plugin’s languages directory. This seems to be a rock solid approach but takes a bit of learning. If you put your translations in the plugins language directory, you’ll lose your translations when the plugin gets updated. Either keep backups or, if the plugin loads the translations correctly, you can put your translations in the separate wp-content/languages/[plugin-name] directory. If you don’t know about editing PO files I suggest following the WordPress instructions on using POEdit. I recommend using the Blank WordPress POT file that I mention below in the POEdit revisited section. However the POT files that I made never worked – they didn’t pick up the translated words. I think it was because of __() and _e() instead of __ and _e. If you do want to use makepot.php use grapper’s Github i18n repo which includes all the correct WordPress files rather than the official WordPress subversion directories. Hidden at the end of the WordPress localization document is the excellent ‘Blank WordPress POT’. The pot file include in this folder is ready to use. Click the update button in the main poedit ui. For a plugin like filename-xx_XX.po with xx_XX for your language and country. That’s it, go to your WordPress blog and see your translation in action. N’joy your blogging!!! This actually worked first time that I tried it – i.e. it pulled in all the translated strings. First off you can then save the file as a my-plugin-name.pot file in the languages directory. Then you can add in your translations and save it with the locale xx_XX.po file ending and that should generate the .mo file that you need too. Edit: The simplest route was via the Codestyling Localization plugin. Instead you can use Loco Translate which appears to be excellent – but I haven’t tried it. None of this solves the problem that you will lose your translation files once when the plugin is updated. Copy your .po files into the wp-content/languages/[plugin-name] directory – which might or might not work. If yes, great, if not raise a support query (be nice and give details) with the plugin developer. If developers follow this Geert DeDeckere’s excellent guide on loading WordPress language files the right way then there shouldn’t be a problem with using the wp-content/languages directory. You can also read WooCommerce’s documentation on Making your Localization upgrade safe which recommends either Loco or using /wp-content/languages/woocommerce. There is Apache Documentation for setting up Virtual Hosts, good luck if you can implement something sensible direct from that, but otherwise read on. After umming and ahhing I finally decided to get some proper virtual hosts set up on a webserver of mine. This was brought on by creating a virtual host for a separate domain that completely overtook the default domain even though I didn’t think it should. I also noticed that there is a sites-available and a sites-enabled directory in the /etc/apache2 directory. So a quick Google search brought up Hosting multiple websites with Apache2. Took me a while to figure out the problem, but I eventually tracked it down to the fact that there is already a NameVirtualHost defined in /etc/apache2/ports.conf and I had disabled the default site which was the only virtual host defined on *:80. The article wants you to create another file with this directive for * and then only include * for all virtual host definitions. The above article doesn’t explain about setting up SSL/HTTPS domains. I think from Plesk 10 onwards both http and https used the httpdocs directory by default, so we just need to copy the existing domain.com file and copy it to doman.com-ssl and then merge in some details from the default-ssl file. I wish Twitter would just allow URLs to be added without being included in the 140 character limit. See Dave Winer’s Proposed New Twitter convention.